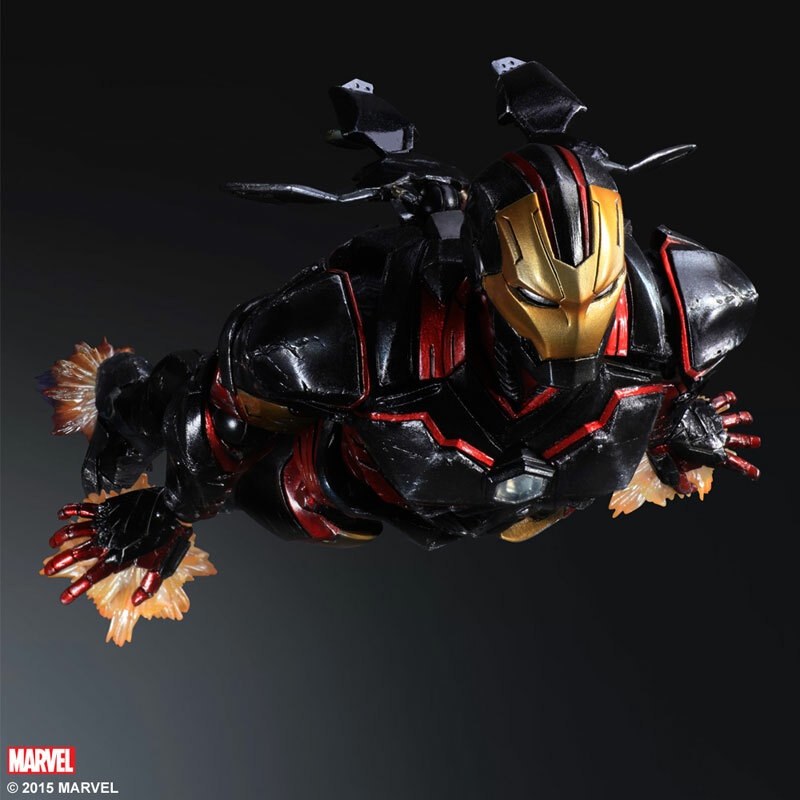 This is Square Enix's take on the Armored Avenger. 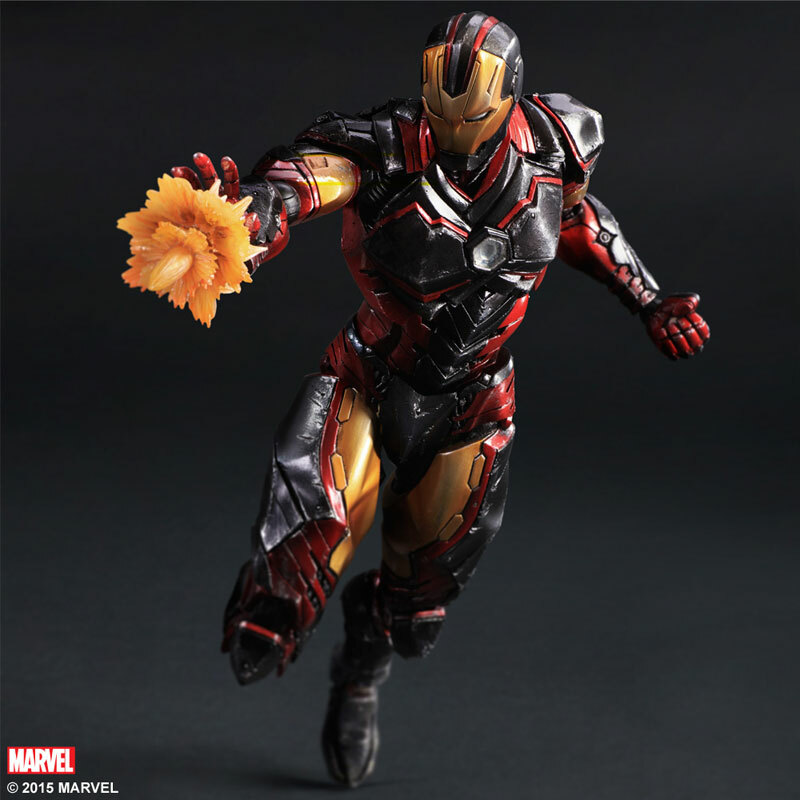 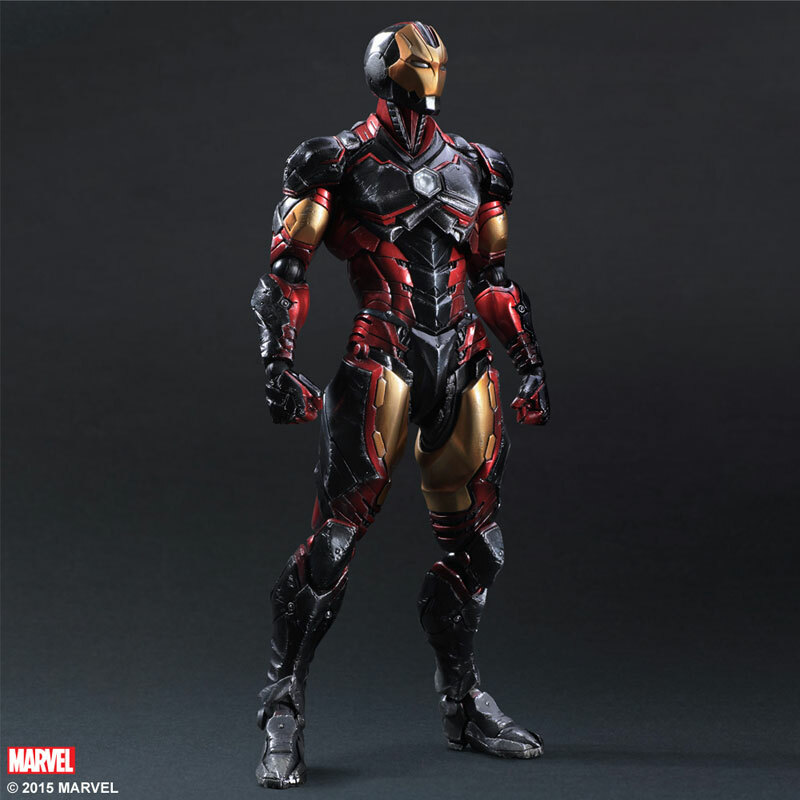 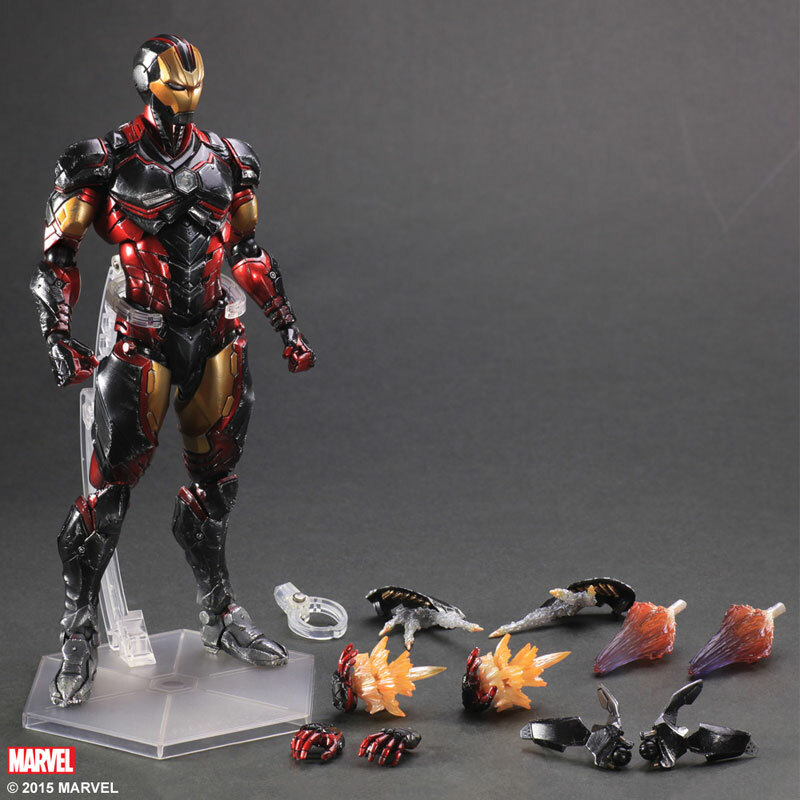 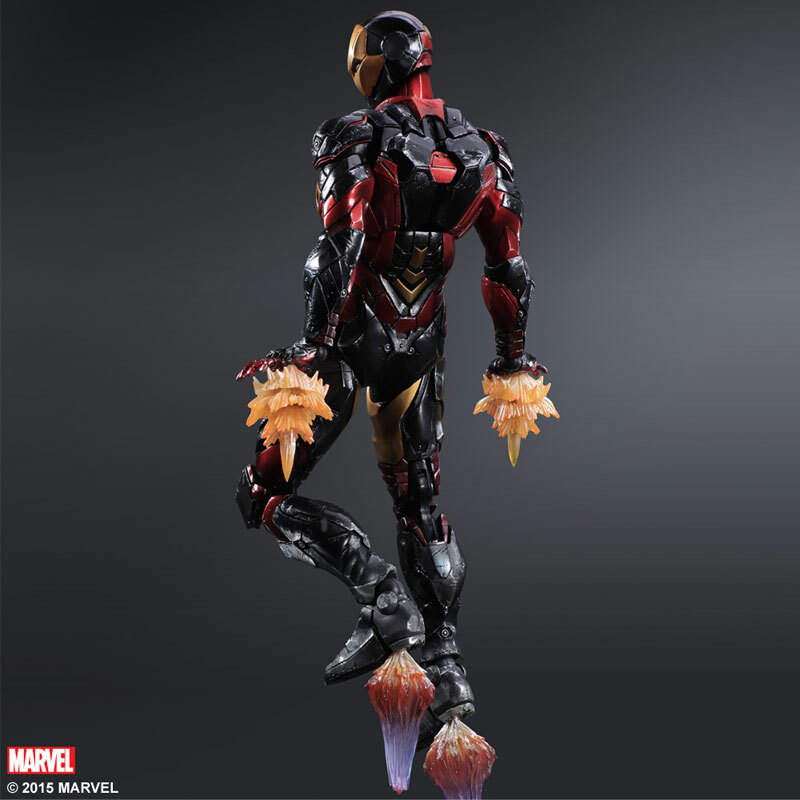 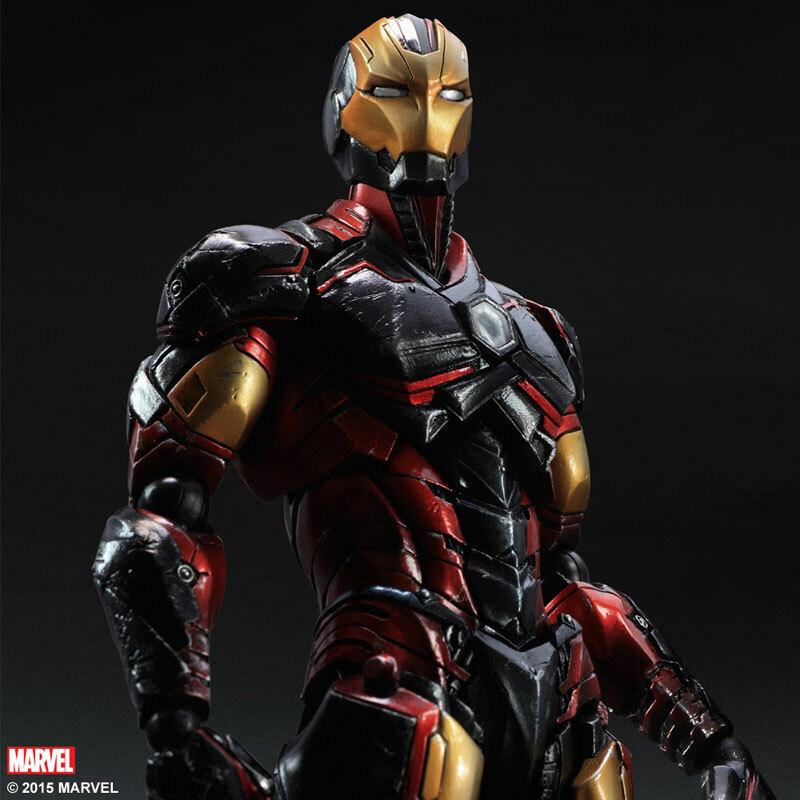 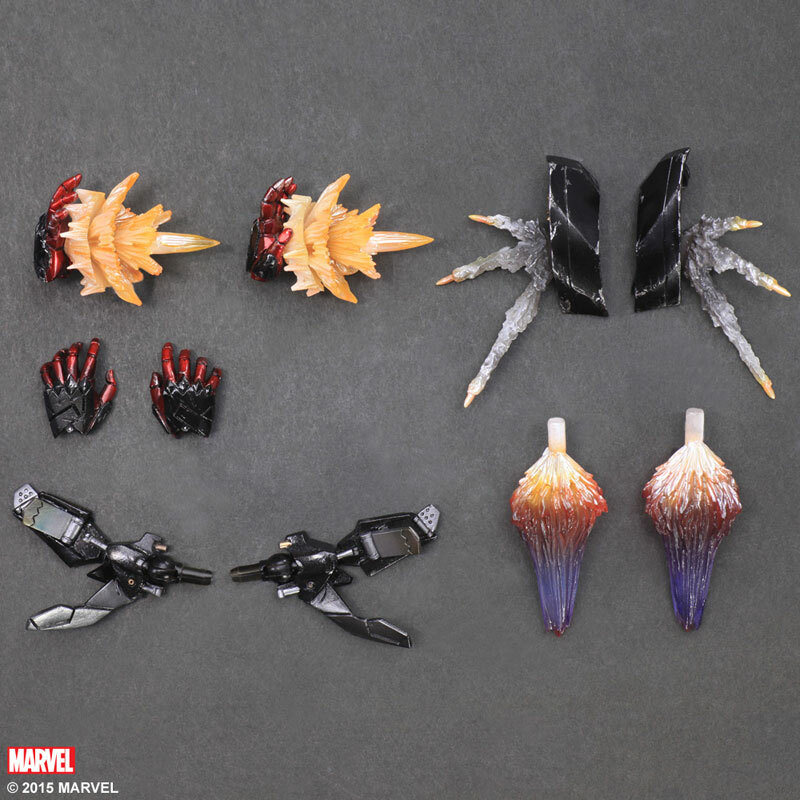 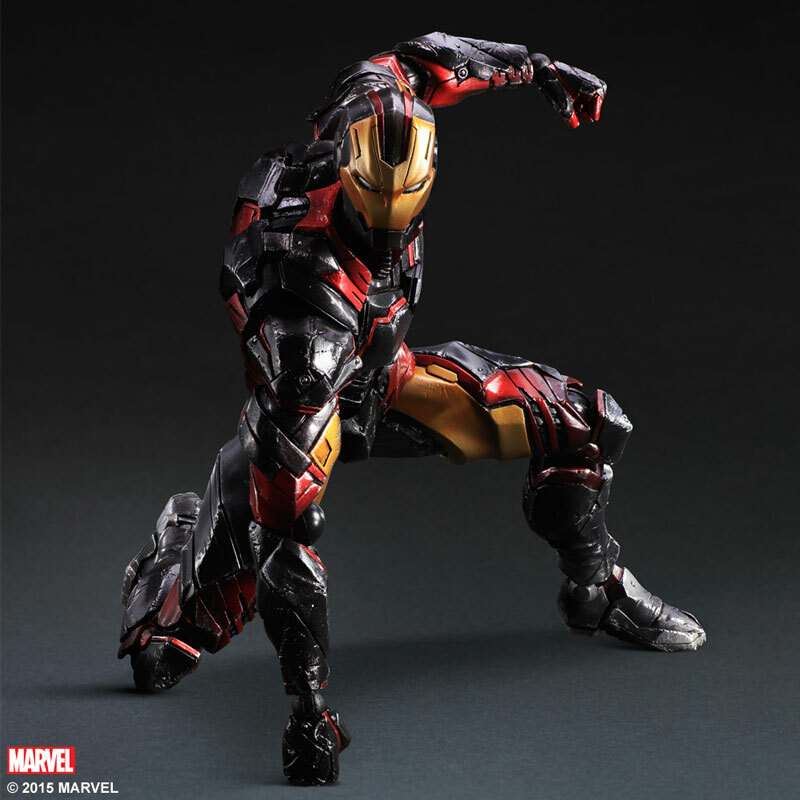 The Play Arts Kai Variant Marvel Comics Iron Man features a darker red and black color scheme but is still equipped with all his famous gimmicks such as Repulsor blast effects parts for his hands and feet, removable back flaps, and hip mounted missile launchers. 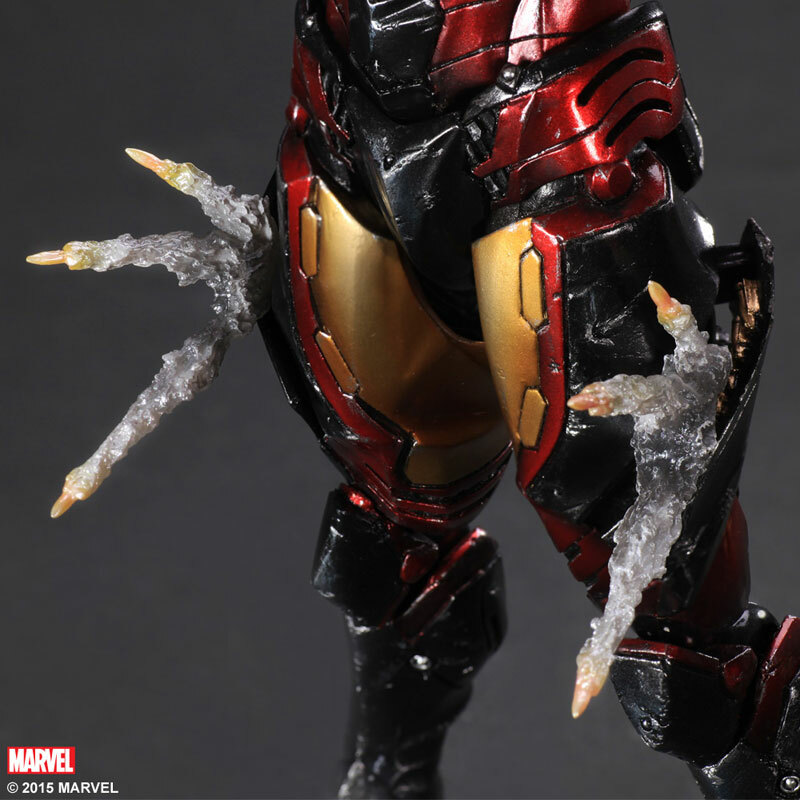 He also comes with a display stand and four swappable hands. 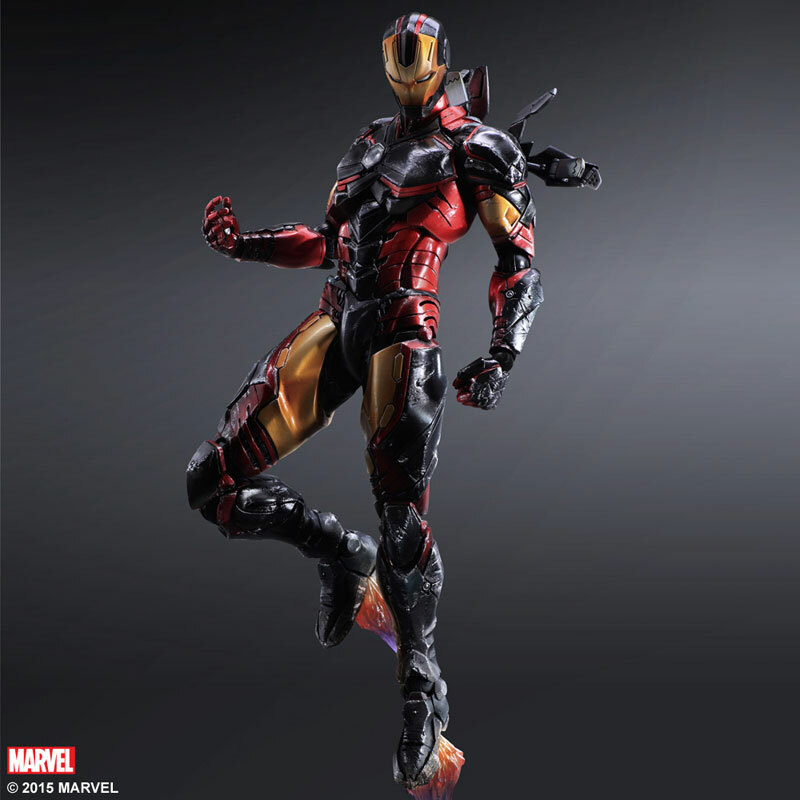 Coming June 2015 for 12,000 yen.